Landscape Architects International is a small firm of Registered Landscape Architects and Horticulturists located on the Northern Beaches of Sydney NSW providing all areas of Landscape Architecture and Design as well as plant selection. In addition Ted Webster teaches Vectorworks Landmark to industry professionals on an hourly basis. We provide landscape architectural services for our clients' home gardens, backyards, property/land developments and so many more. We work with a wide range of clients: home owners, property developers, architects, and local councils. Our passion is to design with creativity and focus on our clients' needs! HydroCon specialises in urban water management, with a particular focus on stormwater. HydroSTON and HydroCERA permeable pavers and HydroCon permeable concrete pipes are used in a wide range of applications. HydroCon systems and products contribute to urban water security and remove toxic substances and other pollutants from runoff: treat stormwater at source; improve water quality; facilitate on-site retention and harvesting; reduce local flooding; protect groundwater, aquifers, waterways and water bodies; increase water supply and aeration to trees; and help restore urban land to its natural pre-development state. A Professional Team You Can Trust We understand how important it is to create a landscape you’re proud of. At Sungarden, James Salvaggio and his passionate team have a long and successful history in Construction, Horticulture and Agriculture. 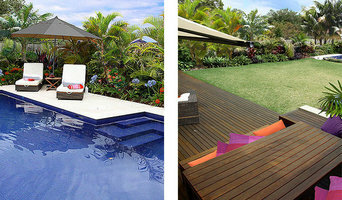 You can trust us to create a stunning landscape that will amaze and impress. A Complete Solution Tailored For You Sungarden Landscapes offers you the whole package, so you can transform your space into your ideal masterpiece: - Design - Construction - Ongoing Maintenance - Outdoor Space Management - Horticulture Advice We focus on your ideas and aspirations, and work with you to create the most creative and exciting solutions for your garden which complement the architecture of the house and surroundings perfectly. 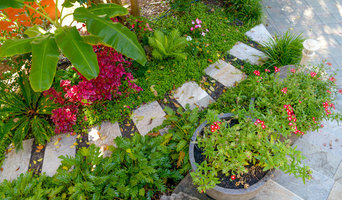 Discover The Garden Your Home Deserves Transform your garden into your own, unique work of art today with Sungarden Landscapes. Because your garden deserves the best care from the best team! Our multi-disciplinary team with qualifications and expertise in Landscape Architecture, Architecture, Environmental Planning & Design, Urban Design and Horticulture provides a personalised consultancy for a broad client base; community, corporate, public, private and institutional clients. 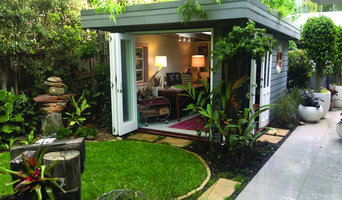 Sustainable solutions are fundamental to our practice and integrated into projects. Informed and inspired by natural and cultural landscapes, we work in collaboration with clients to generate solutions that combine creativity, sustainability and cost-effectiveness. Since 1990 our innovative and experienced teams in Sydney and Melbourne have enjoyed the opportunity to provide clients with professional expertise and exemplary service. Dekker Landscapes is an award-winning Landscape Design Company inspired by the Managing Director Alex Dekker and serving the greater Sydney area since 2000. The Dekker design process incorporates a comprehensive consultation, site evaluation and Client Needs Analysis. We can implement an existing design if you already have one, or you can simply give us your wish list and we'll design and build the garden of your dreams. We have the capability to work on any scale, whether transforming rugged acreage into a resort style rural retreat, or a small drab courtyard into an inner city sanctuary. The Dekker team offers the full spectrum of hard and soft landscaping services including, retaining walls, driveways, irrigation, decks, pergolas, pool surrounds, fencing, lighting, water features, plant selection, and more. We offer you the luxury of only having to deal with one contractor, ensuring that all elements of your landscape design blend harmoniously with each other as well as the surrounding architecture and the environment. We also offer a maintenance service to keep the landscaping looking its best every day of the year, leaving you with nothing more to do than enjoy the space. From design to construction and ongoing maintenance, Dekker landscapes can provide as many or as few components as you require. Our portfolio of works demonstrates the diversity and adaptability of our designs ranging from five star residential gardens to commercial and industrial enterprises for companies such as R.T.A, Leightons, Prime Constuctions and Abigroup. Dekker landscapes was awarded highly Commended in Best Landscape Design at the 2005 Sydney In Bloom Festival for our contemporary waterwise urban oasis, ranking us amongst Sydney’s elite landscape design companies. Our garden designs have been featured in magazines such as "outdoor Design and Living" and Flower Power's exclusive "Garden Lover's Magazine". Alex Dekker's strategic alliances with major suppliers such as Boral, Flower Power, Baulkham Hills Landscapes, Paving Plus, Martins, Downes Nursery, Andreasons Nursery and Amber Tiles enable us to provide an extensive range of top quality plants and landscaping products. Everyone has an individual style. It influences the way we present ourselves to the world. It affects the clothes we buy, the car we drive, and how we decorate our homes. Our choices say something about us, who we are and what we aspire to be. The same is true of our outdoor space. Our style of garden reflects what we enjoy, and, if it is to the front of the house, it gives a first impression to the outside world. We at Redefine Landscape Design can help you show your outdoor space to the world in the best possible interpretation of who you are. I am a Landscape Designer and am passionate about what I do. 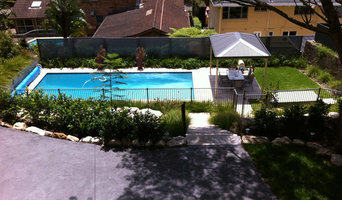 I am based in Sydney and create beautiful landscapes in many different applications.